Energize your wrap options. Fast installs. 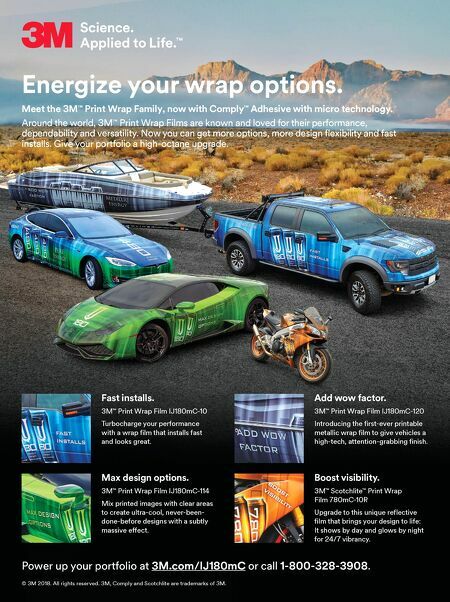 3M ™ Print Wrap Film IJ180mC-10 Turbocharge your performance with a wrap film that installs fast and looks great. Add wow factor. 3M ™ Print Wrap Film IJ180mC-120 Introducing the first-ever printable metallic wrap film to give vehicles a high-tech, attention-grabbing finish. Max design options. 3M ™ Print Wrap Film IJ180mC-114 Mix printed images with clear areas to create ultra-cool, never-been- done-before designs with a subtly massive effect. Boost visibility. 3M ™ Scotchlite ™ Print Wrap Film 780mC-10R Upgrade to this unique reflective film that brings your design to life: It shows by day and glows by night for 24/7 vibrancy. © 3M 2018. All rights reserved. 3M, Comply and Scotchlite are trademarks of 3M. Power up your portfolio at 3M.com/IJ180mC or call 1-800-328-3908. Meet the 3M ™ Print Wrap Family, now with Comply ™ Adhesive with micro technology. 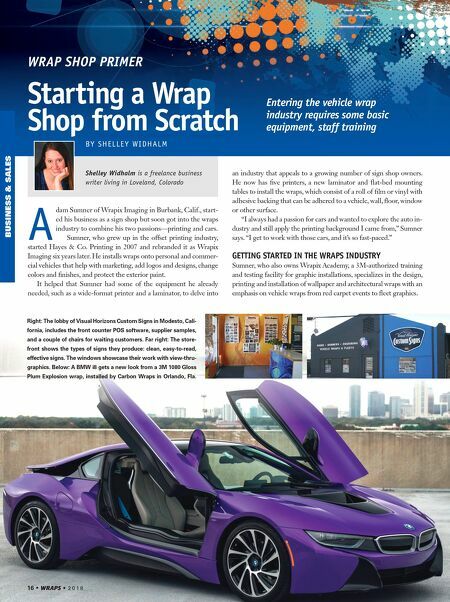 Around the world, 3M ™ Print Wrap Films are known and loved for their performance, dependability and versatility. Now you can get more options, more design flexibility and fast installs. Give your portfolio a high-octane upgrade.